Introducing the most innovative water and beach-based based recreational products in existence. Our team of passionate water and beach lovers, has created a line of products especially for you. So I tried my mask out and it is life-changing and amazing. 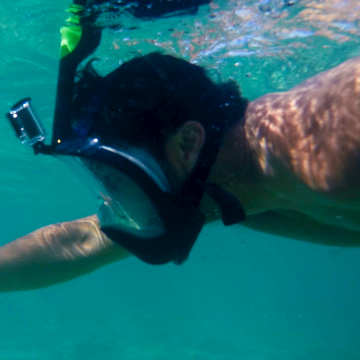 I have snorkeled for over 30 years and this is by far the most amazing device I've used in the water. I love not having to deal with having something in my mouth and concentrating on breathing and not being able to see what's around me. 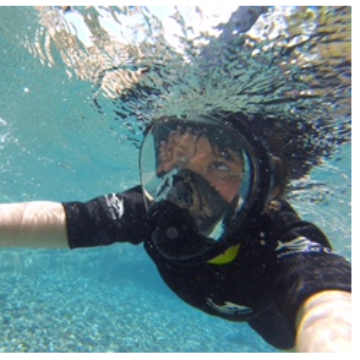 The easy snorkel face mask enables you to breathe freely and enables you to see a lot more underwater. Took this to the Galapagos last week and it worked very well. Very comfortable to wear, and didn't have to worry about the mouthpiece becoming detached from the goggles like with traditional snorkel masks. Got rave reviews from local guides and fellow travelers, and many of them noticed that these masks were very popular items being rented down there. Very happy with this mask. Gave this to my granddaughter for Easter. She had to try it and went into her pool and it worked perfectly. She loves it! I would assume it would be wonderful for snorkeling instead of a pool but she hasn't tried that yet. 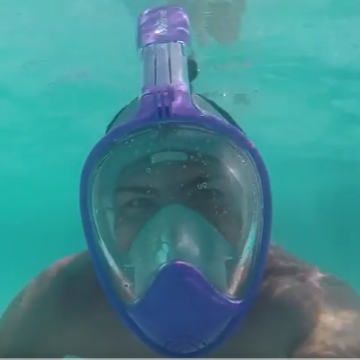 Just used my Easy Snorkel in the Carribean. 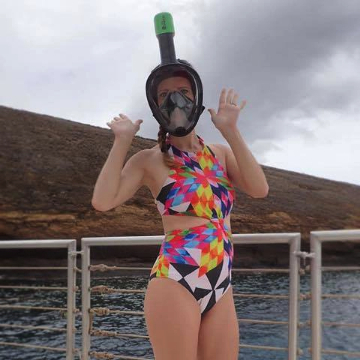 First time I jumped in the water with it on I didn't think I liked it as I felt like I couldn't breath and went back to the in mouth snorkel. 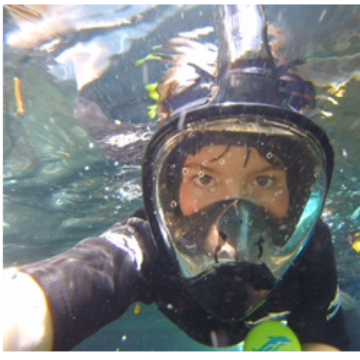 Next day my husband urged me to try the Easy Snorkel again as he loved his so I did, relaxed and really did love it! It didn't fog at all and most important didn't leak! In the past I always got water seeping in and burning my eyes but not with this mask. 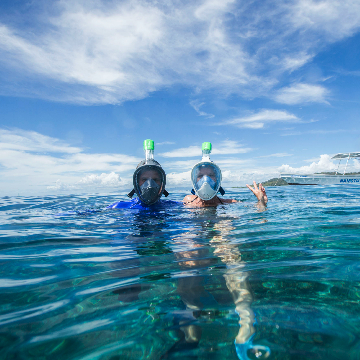 I continued to use the Easy Snorkel for the rest of our trip and will never go back to the mouth breathing type again. I think the best advise I could give to those trying it for the first time is to "relax and just breath normally". My husband also uses this type of mask and would give it 20 stars! He has a mustache and always had a problem with leaking but not with this mask! jessica@easysnorkelmask.com for your chance to win! And get exclusive content, discount codes, and more!